The Pantone Color Institute has announced their 2019 Color of the Year -- Living Coral. The color is characterized by Pantone as an animating and life-affirming coral hue with a golden undertone that energizes and enlivens with a softer edge. 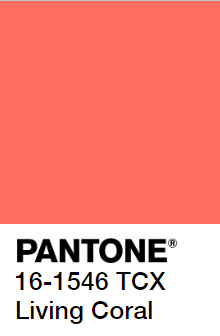 Pantone chose Living Coral in reaction to the abundance of technology around us, recognizing this color represents authenticity and connection. Check out Pantone to read more about it! If you are looking to incorporate this trendy color into your promotional products this year contact us for a custom quote!